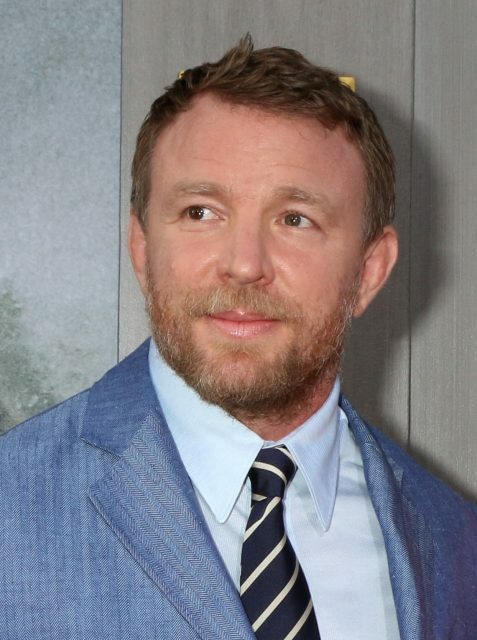 Lock, Stock, and Two Smoking Barrels director Guy Ritchie is making a comeback….in the hospitality industry, as he’s just bought another pub in London. Ritchie, who also runs his own micro-brewery called Gritchie on his own farm in Dorset, bought The Luckin in Fitzrovia after it was closed down earlier this year, and is currently being refurbished by previous owners Mitchells & Butler. The star also set up Fatboy Pub Company ltd. on Companies House earlier this year. The pub, which will be renamed the Lore of the Land when it reopens, isn’t Ritchie’s first venture into life as a landlord. Ritchie bought Mayfair haunt The Punchbowl back in 2008, when he was still married to Madonna. The couple, who lived nearby, divorced in 2008, but Ritchie kept the pub as part of the settlement and continued to socialise there with his actor friends. It became a favourite of celebs like David and Victoria Beckham, Kevin Spacey and Leo Di Caprio, but Ritchie sold it to Cirrus Inns in 2013. In 2008, The Punch Bowl was investigated for alleged trading breaches and was cleared of charging tourists higher prices than regulars for food and drinks. The pub famously offered fish and chips for two and a half bottle of Krug for £75. “The Lukin was one of the more characterful pubs in the area so we were worried that a refurb would make it a bit soulless”, a Fitzrovia resident told a diary reporter for the Evening Standard. Aside from brewing, Ritchie also has an interest in whisky, or at least in David Beckham’s venture with Diageo, Haig Club. The pair joined forces to create a TV advertising campaign for Haig Club whisky back in 2014.